David, a recently retired engineer, talks about shifting his mindset and his money from risk to safety for his retirement nest egg. 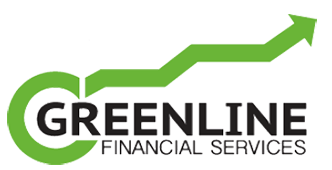 Green Line Financial Services, LLC is committed to promoting safe money sound, positive growth oriented financial strategies to its client base throughout the states of Indiana, Ohio, Kentucky, Illinios, Pennsylvania, Michigan & Florida. Our philosophy stems from a deep seeded belief that financial guarantees with consistent positive growth, should be the foundation of every retirement income plan. The reality is that market wealth can be accumulated, and market wealth can be lost. What most American's need (and want) during their retirement years is IN-come, not IF-come. IN-come is defined as that monthly inflow of money which can contractually never go down and never run dry. In other words, IN-come that will live as long as we live. Without this financial bedrock, no retirement income or, retirement investment strategy, can deliver the security and peace of mind that all Americans hope for during the fixed income years of retirement. We believe that once educated, our client is always his or her own best financial adviser. Therefore, our advice and planning process is focused on educating clients about the best-in-class, safe money growth, and income strategies. These are strategies engineered and contractually guaranteed to address the individual circumstances that surround each individual client's goals, timeline, and available financial resources. We take the IF out of retirement income planning so that each client can retire with confidence and peace of mind. Welcome to retirement on the Green Line!